On 29 November 2018 we will mark 24 years since the IFLA/ UNESCO Public Library Manifesto was ratified in 1994. 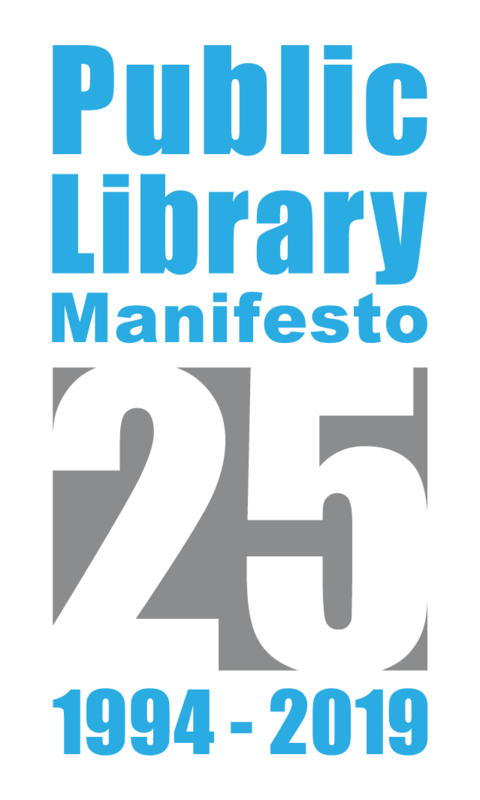 As we move towards celebrating the 25th anniversary in 2019, public libraries and public librarians everywhere are being asked to reflect on how the Manifesto relates to their library and to share this on social media. In particular we would like to have a concentrated social media campaign on Thursday 29 November 2018 which marks the beginning of the lead up to the 25th Anniversary. Add the 25th Anniversary logo and the hashtag #publiclibrarymanifesto. You can download the logo to add to your posts. Over the next 12 months the IFLA Public Libraries Section will be consulting with the international public library community as we review the Manifesto and we look forward to your input.